PokerStars has really taken the time to celebrate their latest WSOP champion. Jonathan Duhamel is targeting his next promotion at his fellow Canadians, inviting them to play for the chance to win an EPT prize package. This package includes everything needed for a trip to Europe: $1k spending money, airfare for two, and hotel accommodations for four nights. The poker incentives include a seat in the Main Event of EPT Deauville and dinner with Duhamel himself. To win this package, you need to make it to the Grand Final of the Canadian Celebration. You do not need a large bankroll for you have the option to play freerolls, $2.20 satellites, and 500 FPP satellites. To win the trip, you must win the Grand Final. If you are interested in tournaments but you are not Canadian, how about qualifying for the PCA instead? 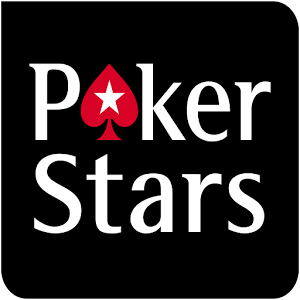 Stars introduced a special tournament this year that combines fishing and poker. The Fish & Chips Showdown can be entered via direct buy-in or through tournament qualifiers. You have never seen a tournament like this anywhere. The Fish & Chips Showdown runs over two days, allowing one day for fishing and two days for poker. Fishing starts early on January 6th and players have a little over 5 hours to catch the best fish they can find. Points are awarded depending on weight and how the fish is caught. The second half of this day is dedicated to a poker tournament. The first day is finished once the final table is determined. Day 2 sees the final table continue on, and higher finishes receive higher points. The winner of the entire event is determined by combining the points from fishing with the points from poker. Recently Full Tilt has been host to a bunch of promotions regarding Full Tilt Points, and the newest of the lot is dubbed “Short Handed Happy Hour”. Long time users of Full Tilt will have already earned double Points on normal Happy Hour tables, but Happy Hour is typically during times when the traffic is fairly low. Short Handed Happy Hour gives all players the option to collect extra Points no matter what time of day it is. Full Tilt Poker is giving twice as many Full Tilt Points in short handed cash games between December 1st and January 31st. You might be surprised to learn that you can still play a short handed game on a Full Ring table. 9-max tables are called short handed when five or less people are playing. 6-max tables are short handed if there are three or fewer players. It is sometimes fun to speculate what might happen as a result of certain promotions. Maybe the Full Ring tables will initially have short handed veterans attempting to receive 2x the Points. Or maybe Full Ring experts will try their hand in the short handed games. The point is, though, that this is a great way to get the games going. The short handed games are depicted clearly in the lobby using smiley face symbols. The Full Tilt Store is jam packed with great items to purchase with your bonus Points. You should think about getting a Full Tilt Security Key for 5k Points. This will ensure that your account cannot be compromised at any time. Get this out of the way first, and then you can use the rest of your Points on a new jacket, TV, or laptop. More Full Tilt Points means more money for you, making this a great time to be a cash game player. With MiniFTOPS, Short Handed Happy Hour, and all the promos yet to come, there are so many reasons to try Full Tilt Poker this month.